THE 2017 MAZE IS NOW OPEN! You choose the way through the corn maze as you discover games and clues. Maize-o-Vision secret decoders help you navigate the puzzle. Maize Quest is a great event for scouts, schools, youth groups and corporate parties. 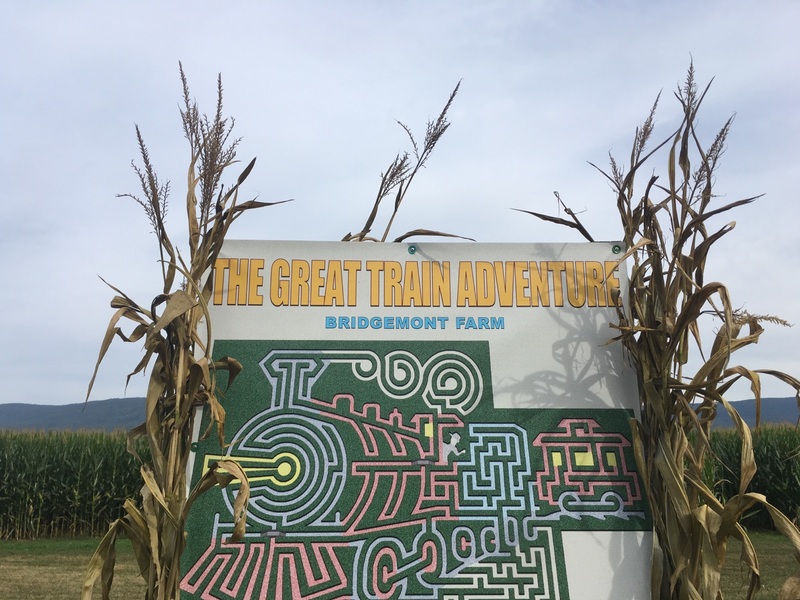 Maize Quest is located at Bridgemont Farms, only a few miles from Harrisonburg - the best place in the Shenandoah Valley for fall entertainment. Bring your family for a weekend to remember. THE THEME THIS YEAR IS TRAINS! News Flash! 14 acres of FUN! OPEN SEPT -- NOV.
Flashlight Nights: Friday and Saturday all season long. BRING YOUR OWN FLASHLIGHT! It's going to be a GREAT corn maze season this year! What a GREAT Corn Maze!! Soon it will be corn maze time! Nice time was had by all at the corn maze today. Thanks goes out to The Day Family. IT HAS BEEN A HOT SUMMER.